At the beginning of each quarter, we rank each sector from best to worst with our Sector Ratings Report. These rankings are forward looking and are indicative of how each sector should perform going forward. We also highlight the top ETFs or mutual funds, along with the worst, or ones to avoid. This analysis is available to our platinum and higher members. This information allows you to make better decisions when allocating your portfolio, which funds to avoid, or which funds to buy. Some of the best include FSTA, FSRBX, XPH, and FDCPX. Some of the worst include FCOM, IRSAX, IEZ, and RYFNX. Last quarter’s Sector Ratings can be found here. 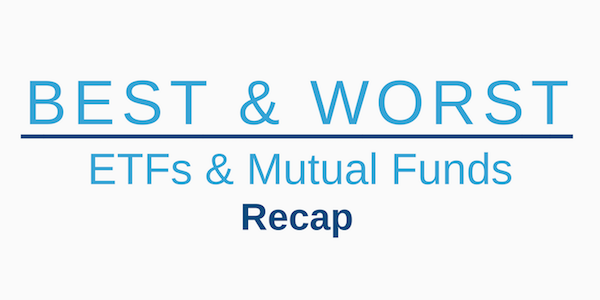 Last quarter’s Sector Recap is available here. The following is our analysis of each sector for the first quarter of 2019. This article originally published on January 16, 2019.